A Valentines sensory bin is our latest irresistibly squishy activity. 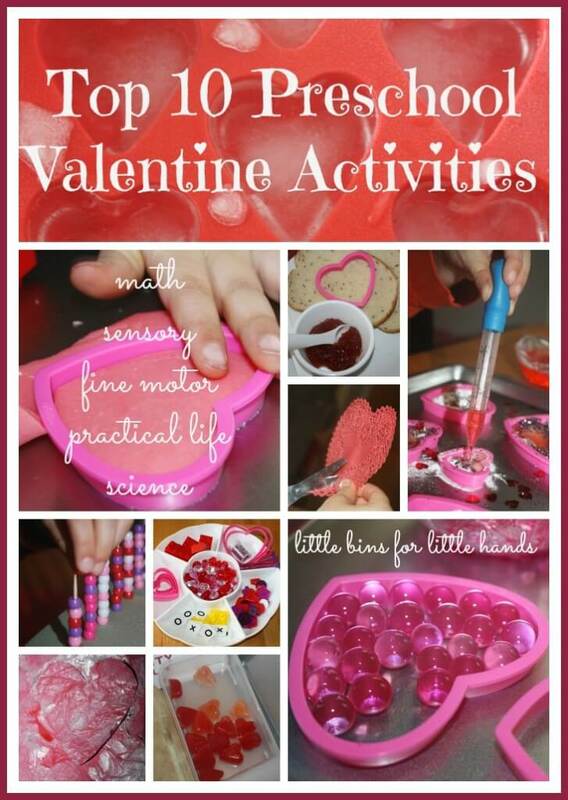 We have been enjoying tons of great Valentines early learning activities and play. Water beads are tons of fun to play with and easy to make! 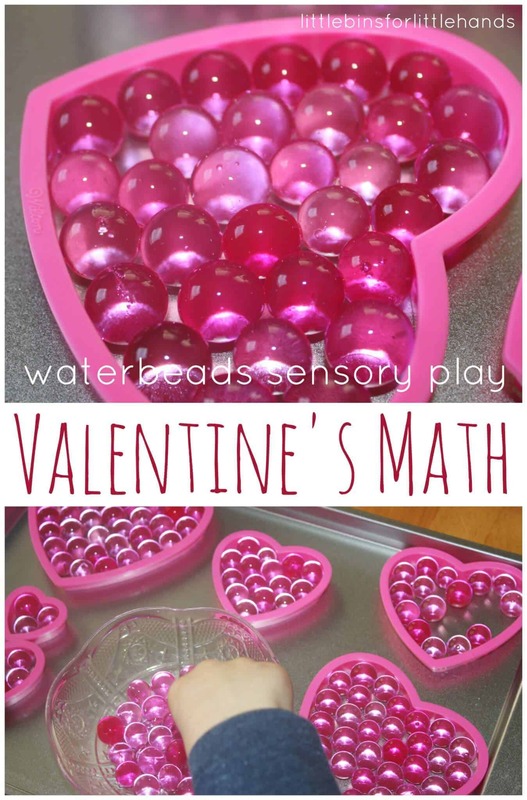 We used pink water beads for a super easy sensory bin and created quick early learning math ideas. We included fun items like acrylic hearts and buttons with water beads to make a Valentines sensory bin perfect for the season. Of course we enjoyed our Valentines sensory bin as an open ended, explore and discover type of sensory bin. Today I am contributing for B-Inspired Mama, read the full post over there and see how we incorporated math and sensory play in this one easy Valentines sensory bin! or subscribe by email (sidebar)! This looks like such a lot of fun to play with. Water beads are awesome. I love it too! My toddler LOVES water bead play — I’d love to hear if you have any tips to help keep the water beads contained — we find them all over the house, even though we use them in the kitchen! So glad I stopped by from Share it Saturday!